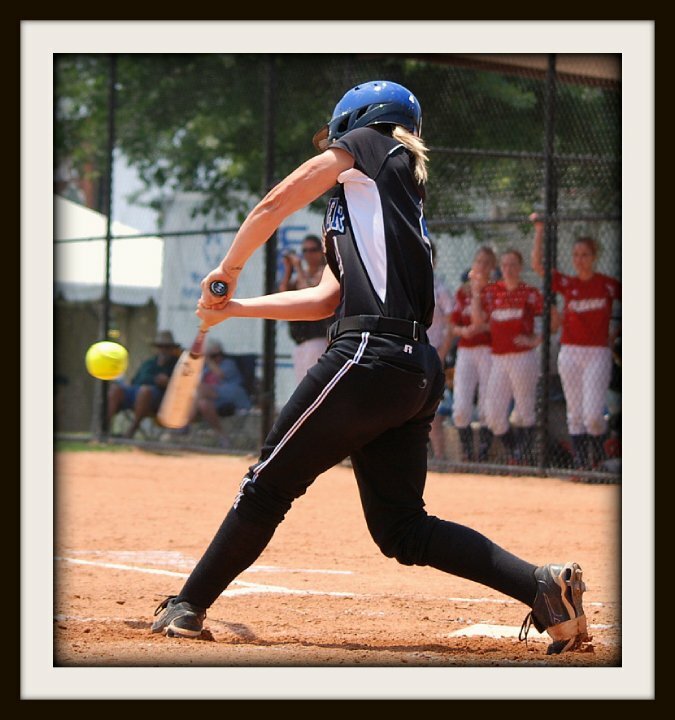 Twenty-four collegiate softball teams from eight states will be traveling to Decatur in February to compete in the 2013 Charger Chillout hosted by UAHuntsville. The three-day tournament is set for February 15-17, 2013 at the Wilson Morgan Softball Complex in Decatur, Ala.
Games are scheduled for 11 a.m., 1 p.m., 3 p.m., and 5 p.m. on Friday and Saturday and 9 a.m., 11 a.m., 1 p.m., and 3 p.m. on Sunday. Daily admission is $10/adult and $5/student or an adult weekend pass is available for $20. Wilson Morgan Softball Complex is a 6-field softball facility located at 300 Beltline Road Southwest in Decatur. According to the Decatur/Morgan County Convention and Visitors Bureau, over 500 room nights were sold generating an economic impact of $273K during the 2012 tournament with twenty-two teams participating. For more information, contact Complex Manager David Wisdom at 256.341.4934 or Assistant Complex Manager Fred Pelle at 256.341.4810. One year ago, the Carnegie Visual Arts Center hosted its first Mardi Gras-style celebration filling the historic downtown area with parades and other family-friendly activities. Promoting art and creativity and family fun, the second annual Carnegie Carnival returns to Decatur February 9, 2013. The day-long event begins at 10 a.m. with a Red Beans and Rice Cook-off at Bank Street Green. The tasty event is open to professional and amateur Cookin' Crewes. There will be first, second, and third place winners and the team with the most “tips" in the Tip Jar will be presented the People’s Choice award. Public sample tasting begins at 2:30 p.m.
From 10 a.m. to 4 p.m. a Kiwanis Club Creation Station art activity tent will be set up at Founders Park free hands-on art activities for children. On 2nd Avenue, adjacent to the Alabama Center for the Arts, a children’s performance stage will provide family-friendly entertainment from 10 a.m. to 5 p.m. Spray paint artist Chandler Hays will be painting a mural at the corner of Lee and Bank Streets starting at 11 a.m. The first parade, sponsored by Animal Friends Humane Society of Decatur, is the Carnival Canines on Parade. Four-legged friends will trot through Downtown Decatur starting at 11 a.m.
At 2 p.m., the Prince and Princess Parade for children takes to the streets of downtown Decatur led by 2013 Prince and Princess of Carnegie Carnival. This parade, for tots though teens, is sponsored by Parents and Children Together. The grand finale is the Carnegie Carnival Parade at 6 p.m. Crewes will proceed in a traditional Mardi Gras style, complete with themed floats, costumes, "throws", and music. 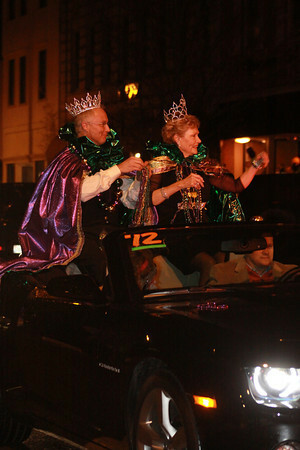 The parade will be led by 2013 Carnegie Carnival King and Queen, Tony Shubert and Margaret Wensler. The evening will conclude with the crowning of the 2014 Carnegie Carnival King and Queen at the Carnegie Carnival Crewe Party at Ingalls Harbor. www.carnegiecarnival.com. Proceeds will benefit the Carnegie Visual Arts Center and other non-profits organizations. For additional information call the Carnegie Visual Arts Center at 256-341-0562.